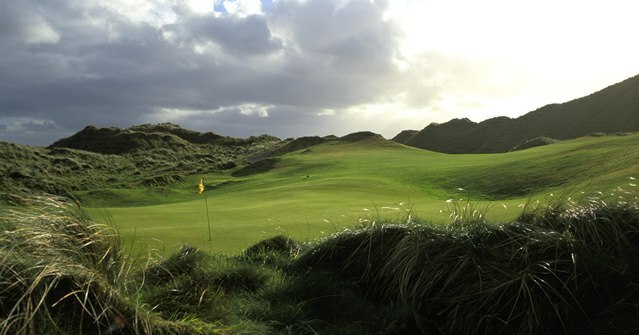 Originally designed by the great Eddie Hackett, the Enniscrone Golf Club reputation as a top class venue has been embellished with the addition of six new holes threading a path through the mountainous dunes. The new holes, expertly designed by famous course architect Donald Steele, add an exciting dimension to the 27 hole layout. Adoption of the relinquished six holes, together with the development of three new holes on adjoining land, has provided the club with a further quality 9 hole course. 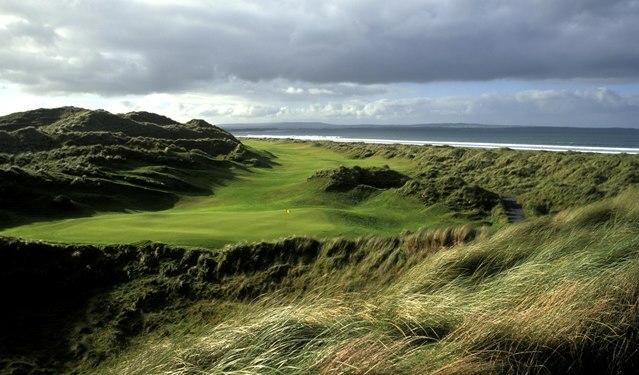 The featured course, par 73, championship links course, often a venue for National and Golfing Union of Ireland’s top amateur events. 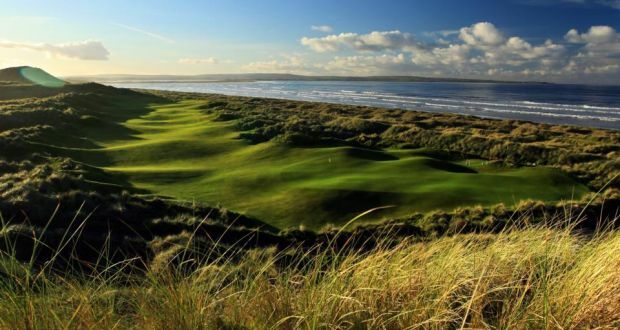 Enniscrone Golf Links is now ranked at 60th (up from 82nd) in the top 100 courses in Britain and Ireland 2014 and repeatedly a top-20 links course in Golf Digest’s review of Irish golf courses. until you reach the final four holes bordering the Atlantic Ocean. Like so many of Ireland’s renowned layouts, Enniscrone boasts the dual aesthetic delights of sea and mountain (the majestic Nephin and Ox ranges) as backdrops. When not dancing through those dunes, Steel’s layout skirts beautiful Scurmore Beach, the River Moy estuary and for a grand finale, the Atlantic Ocean. The only factor keeping the course from wider recognition is its isolated locale in Ireland’s northwest. Outsiders are still discovering the town of Enniscrone, a seaside resort renowned among the Irish for its seaweed baths. The nearest courses of significance are Carne, 50 miles to the east, and County Sligo Golf Club in Rosses Point, 40 miles away. But only the uninformed would let a few Irish backroads discourage them from making the voyage to such memorable environs.